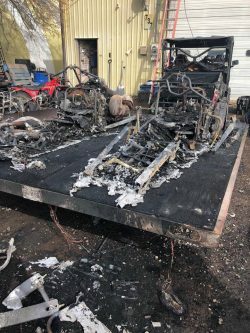 Krista Buls recently shared a post on social media regarding the burning down of Rick Anderson’s Snow Jobs and Dirt Stuff shop in Kalispell. 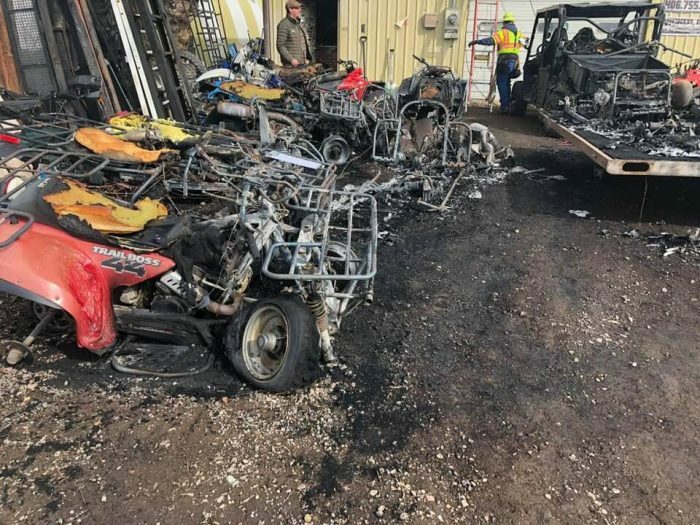 Among the items burned inside the shop were four-wheelers, snowmobiles, side-by-sides and more. The power was destroyed in the building and the door of the building was warped, but apparently, FWP had their snowmobiles there getting repaired, too. ATTENTION: To the pathetic pieces of #*%¥ who torched Ricky Anderson’s shop this morning…..this is your warning. ⚠There are people who would go to the end of the would to help and Ricky is one of them. Riley, Ricky, Ira and all of the gang work so hard and to have it literally go up in flames is devastating! There are cameras and you will be found. The snowmobiles that used to be on the flatbed are Federal property. Fish Wildlife and Parks which means federal offense. FBI, KPD everyone is involved. Any information please let someone know. Leave an anonymous tip! If you see anyone with fresh burns. Let us know. 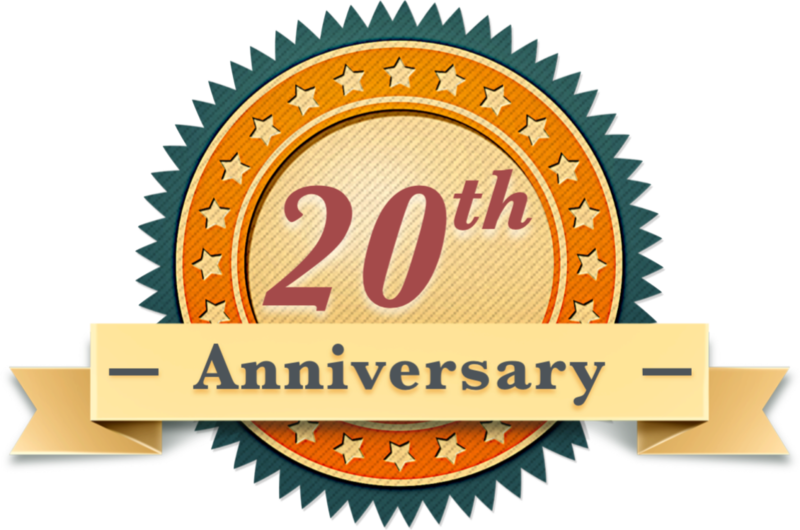 Share this post! There are cameras so it’s only a matter of time until your caught. Please share to catch these people asap.